Each year come October and November, I purchase apple cider with reckless abandon and a multitude of plans for it. Inevitably, I use a small amount in a baking project. The kids drink a small amount. And the bottles hang out in my garage fridge, seeming to judge me every time I open the door and grab other things, as quickly as possible to avoid their gaze. The cycle continues and the bottles multiply. Finally, along comes a remedy in the form of this spicy and sweet cocktail that can make at least a small dent in my stash. There is more to love about this cocktail than its effect on your cider stockpile. The ginger syrup is such a game changer. 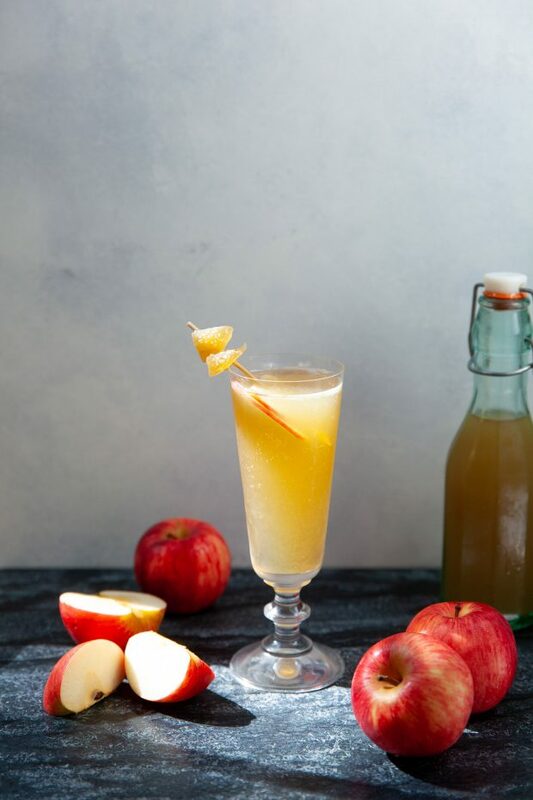 The spicy kick it adds to this concoction is the perfect thing to offset the natural sweetness of the cider, and I’m already envisioning many other delicious uses for it. It also keeps incredibly well, which I know from experience. I actually made this bottle last fall but just got around to using it now (insert face-palm emoji). In the recipe below I gave you versions to make a single cocktail or a pitcher for a crowd so you don’t have to do the math. Cheers, friends! To make the ginger syrup, process the ginger chunks in a food processor or blender until finely chopped. Place in a medium saucepan with the sugar and water; stir to combine. Bring to a boil over medium heat, then reduce to a low simmer and cook for 1 hour. Strain the syrup through a cheesecloth or fine mesh sieve. Transfer to a bottle and refrigerate until ready to use. 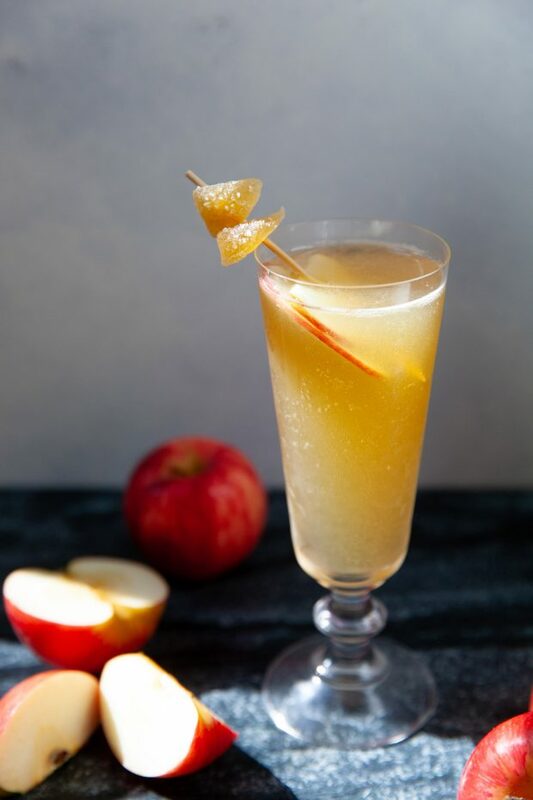 To make a single serving, combine the cider, rum, ginger syrup, lemon juice, and bitters in a cocktail shaker filled with ice. Shake well to blend, then strain into a serving glass. Garnish as desired with pieces of crystallized ginger and/or slices of apple. To make a pitcher for a crowd, combine the cider, rum, ginger syrup, lemon juice, and bitters in a pitcher. Stir well to blend. Add in ice to chill. Either pour into serving glasses straining out the ice, or serve with the rocks – your call! Garnish with crystallized ginger and/or slices of apple as desired.